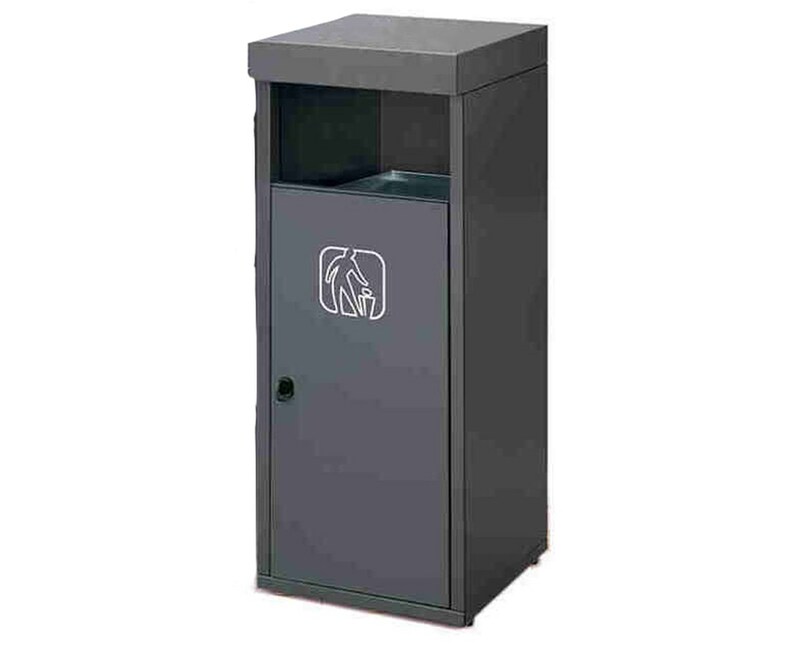 The Magnuson Group Retto Waste Receptacle combines strong functional elements and a rectilinear design to deliver a robust yet classy waste and recycling solution. It is made of steel plate with a textured bronze finish that makes it great for any outdoor setting. 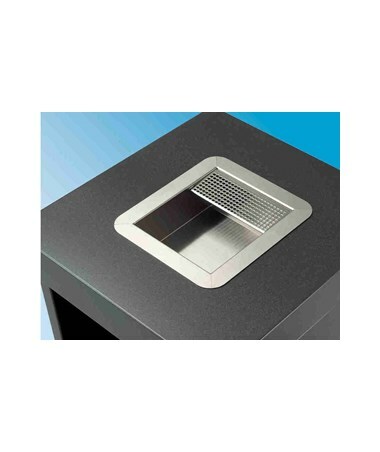 It is also available with or without a stainless steel rectangular ashtray on the lid. 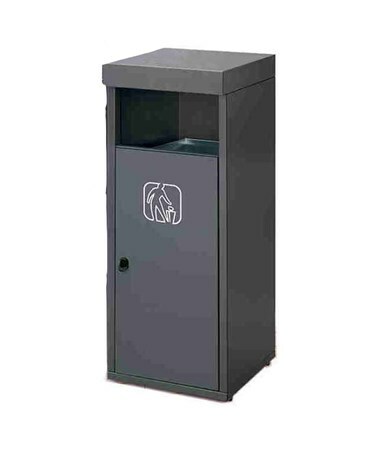 This Magnuson Group waste receptacle features a generous front access opening, a galvanized internal liner, and a locking front door with concealed hinges. With its 26-gallon capacity, the front-loading receptacle offers enough room to hold trash without taking much real estate. It can also be secured or weighted to the ground for added security. The Retto is designed by Mattiusi Ecologia Spa, a company that develops innovative solutions for waste collection and home composting. It measures 17 11/16”W x 18 7/8”D x 43 13/16”H and weighs 93 lbs. Each order comes with a white 4” x 4” icon. This product is also covered by a 2-year warranty. The Magnuson Group Retto Waste Receptacle comes with or without an ashtray. It also has different label options. Kindly select your preference from the menus above.